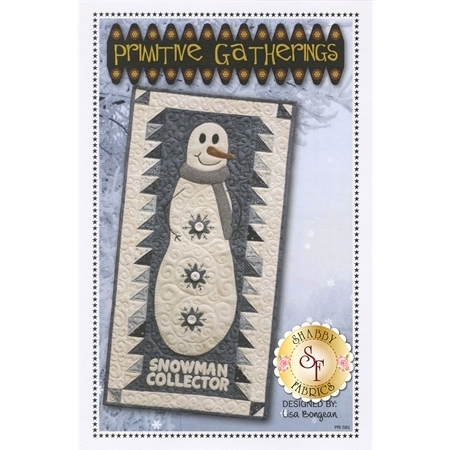 Make this darling winter wall hanging designed by Lisa Bongean for Primitive Gatherings! This pattern is pre-cut friendly and requires the use of one Moda mini charm pack. 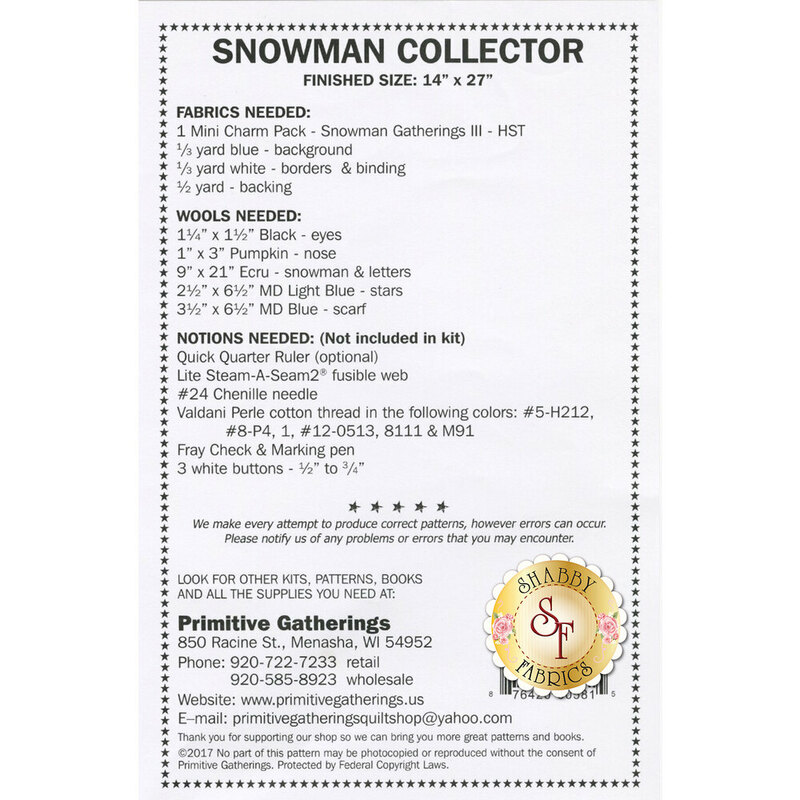 Pattern includes instructions for the 14"x 27" wall hanging.